Since I recently added a number of “new” figures to the collection I thought it was a good time to do a little rearranging as well as some much needed dusting. Here are some shots of the most recent arrangement both upstairs and downstairs. A couple of close ups for the cases downstairs are here and here as well as one of the case upstairs in the media loft. Last month I tried a little outdoor photo shoot experiment with one of the new (ish) figures I got in. I found a fairly cheap prop on-line though the scale was somewhat off forcing me to try some odd shots. 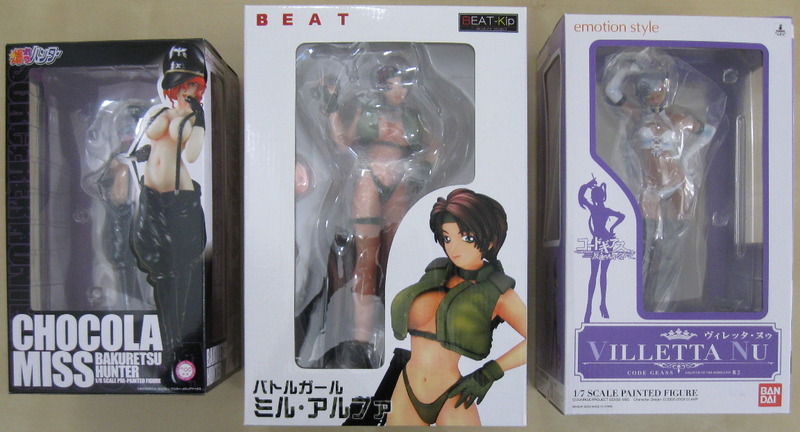 The primary suspect for this was the Battle Girl Mil-Alpha (1/6 PVC Figure by Beat). Though it didn’t turn out exactly as I had hoped for with the scale differences and all, still looks pretty good. I’m trying to get a little ahead of myself now that A-Kon is over with for the year. Anime Expo and SDCC are rapidly approaching so July updates will probably lag somewhat. That brings us to Mays group of goodness. Here is a group shot of the DVDs for this month. Not too much quantity wise, but some cool stuff none the less. Of note here is the preview DVD for “Ikki Tousen: Great Guardians” which is scheduled to start this month in Japan. I’ll be asking Media Blasters/Anime Works at Anime Expo if and when they plan on licensing this series. But given that their release of Dragon Destiny won’t be out until late September/early October of this year (I asked at A-Kon) I suspect that even if they do pick up Great Guardians it won’t be until late 2009 for a US release. Oh well, more R2 DVDs to buy. Moving on we have two limited edition/first press DVDs with boxes and other goodies. 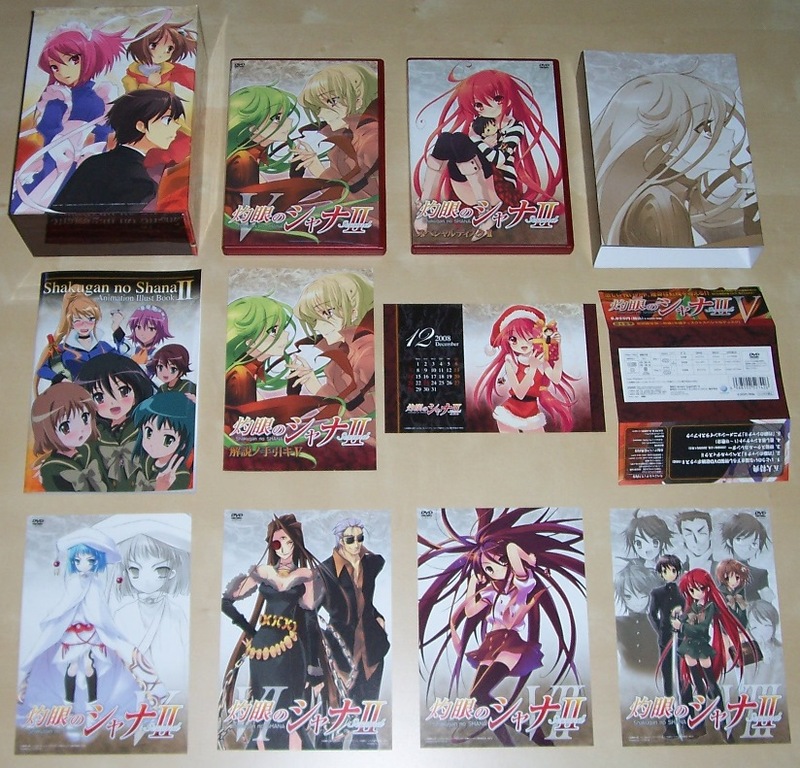 First is “Shana II” volume 5. This one comes with some really cool items including a mini full color book and what appear to be alternative covers for the remaining DVD volumes. 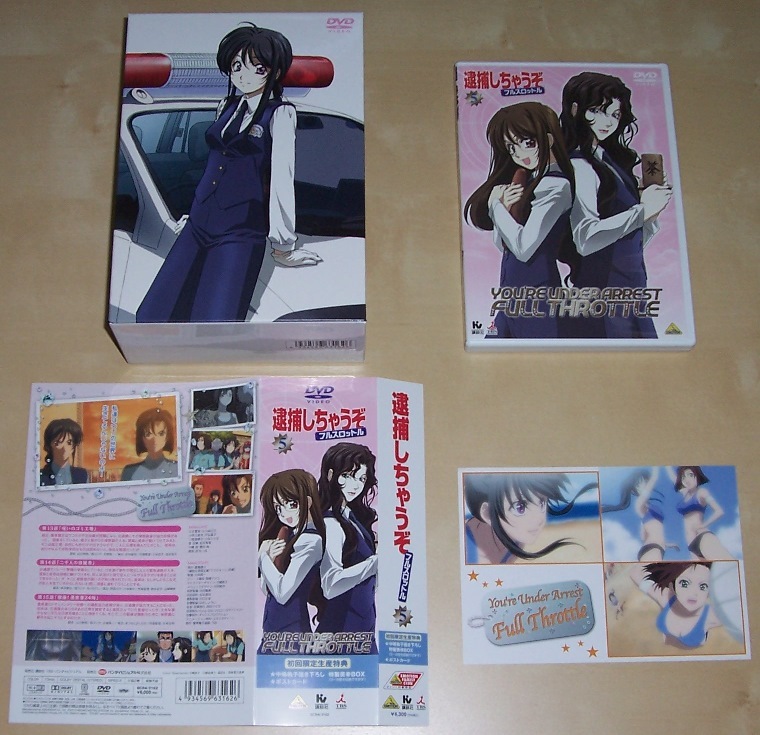 Next up we have volume 5 of “You’re Under Arrest: Full Throttle” featuring another cool postcard and of course the second box for the remaining volumes. In print this month there are a couple of items I picked up on a whim while at the local Kinokuniya in Costa Mesa. The first is Animedia DVD magazine volume 10. This comes with a preview DVD with loads of anime and game previews plus staff interview/Q&A/bonus features. 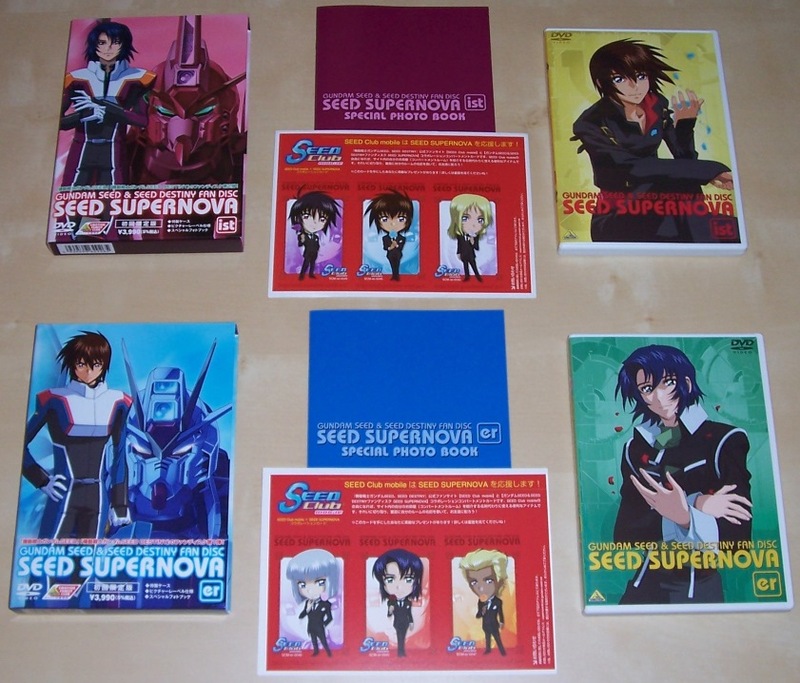 It also came with a couple of mini stick-type posters as well. 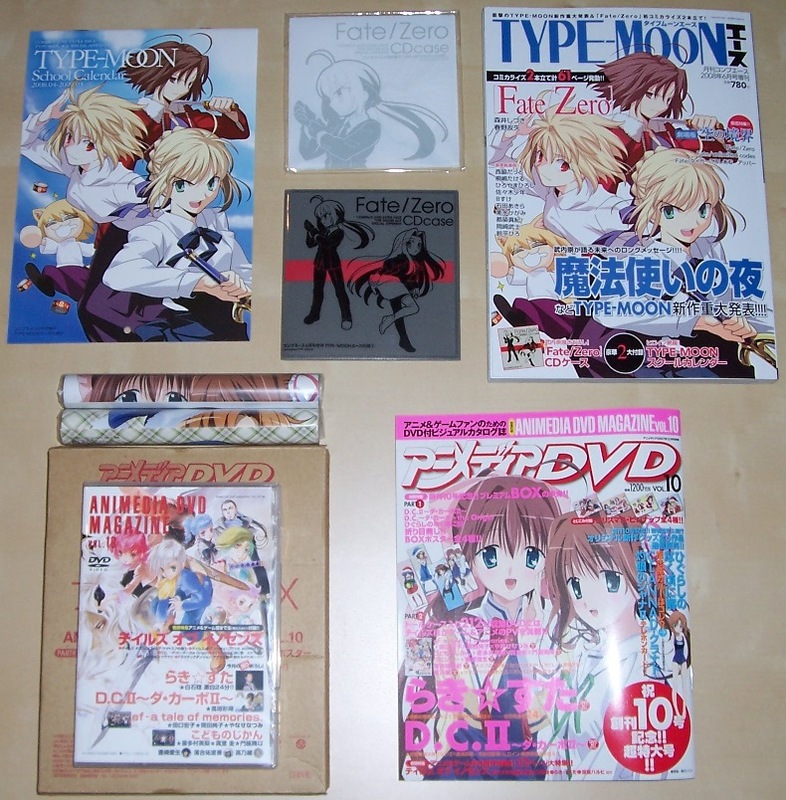 Next up is a rather cool magazine of Type-Moon titles. This is really more like a softbound art book and manga combined. Coming in at about 200 pages it is about half manga (second half) and half color artwork for various series from Type-Moon. 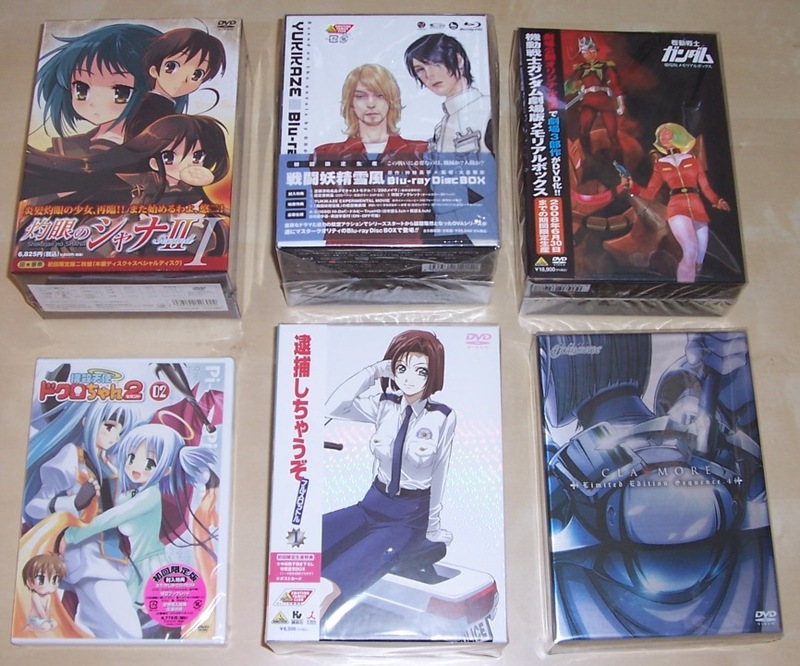 It comes with a cool 2008-2009 calendar and a “Fate/Zero” CD wallet. 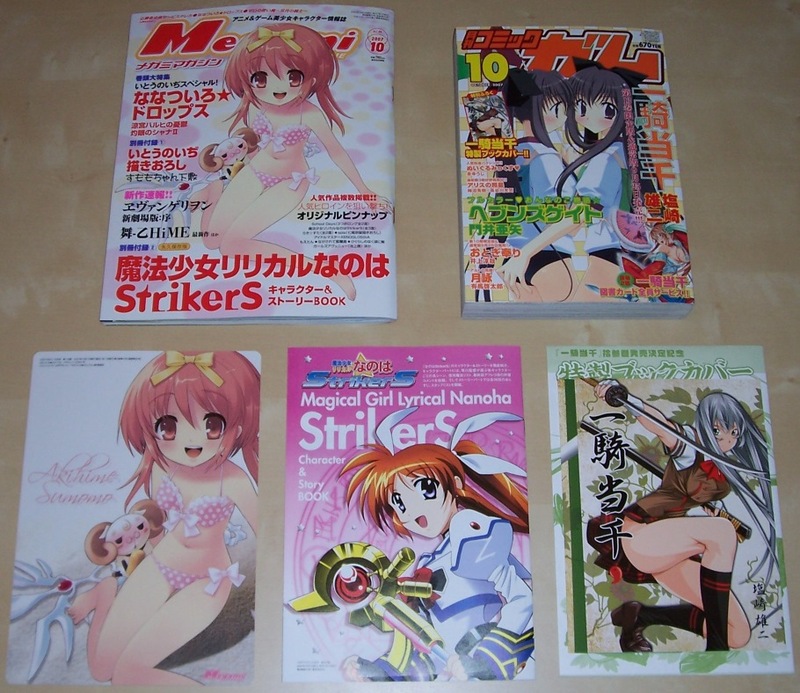 Then of course we have the May and June issues of Megami. 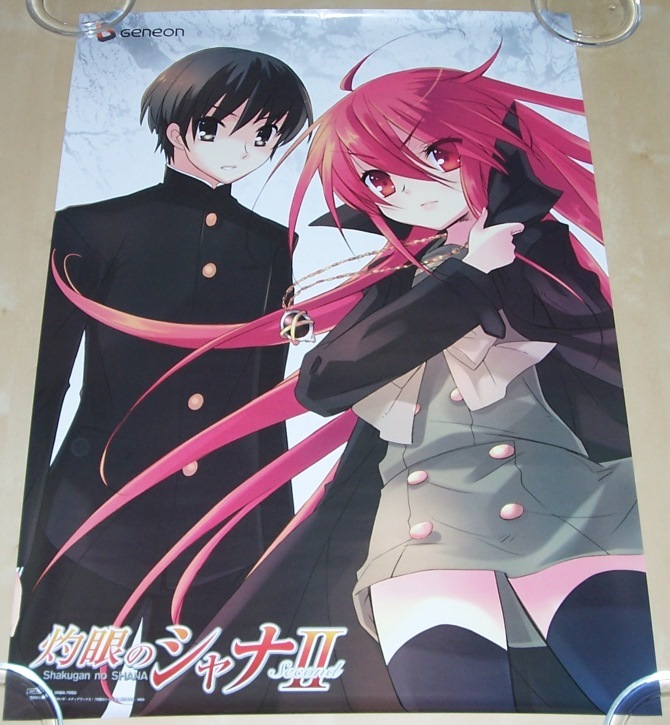 May comes with a poster and cool double-sided pencil board while June comes with a double-sided poster. 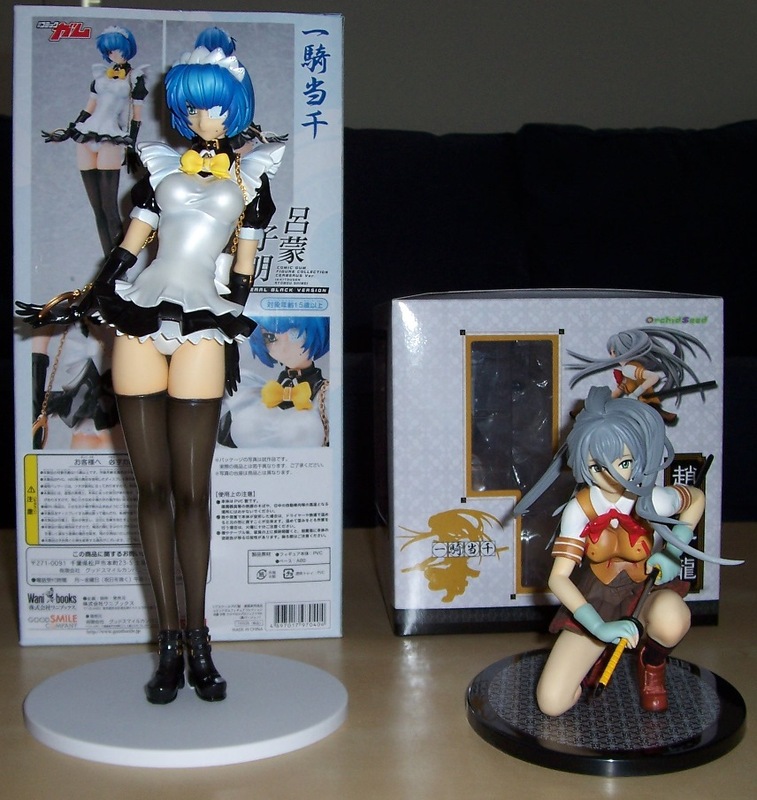 Lastly we have a quick couple of shots of the last two figures I had on pre-order, both from Ikki Tousen. Here they are in box and again out of box. The Ryomou actually came in sometime in April but I wanted to do them both at the same time to save space. I have no other figures pre-ordered as of now which is for the best as I am pretty much out of available display space. I’ve said it before, but while I could build more display cases I really just don’t want to go over-board. With that in mind I picked up a total of zero figures while at A-Kon (this in large part due to the whole having to take them on the plane thing and such) and while I will most likely pick up a few at Anime Expo, that will probably be it for figures this year. Nothing like coming in under the wire with this. Just think if I didn’t have the extra day! Anyhow, I’ve posted up all the new items for January. Here is a quick group shot of the various R2 DVDs that arrived. Since I had several sets and LE boxes this month I decided to do some detailed shots for each of the more notable ones. 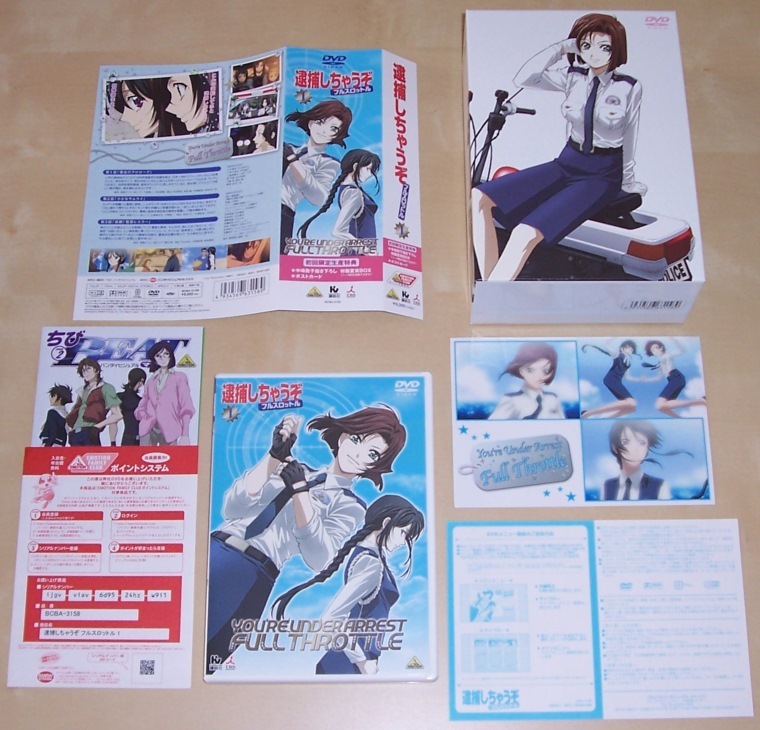 First up we have the Blu-ray (Japanese version, the US version is set for April) box for Yukikaze. I will one day finish watching this series, but probably only after having bought a few more versions of it. 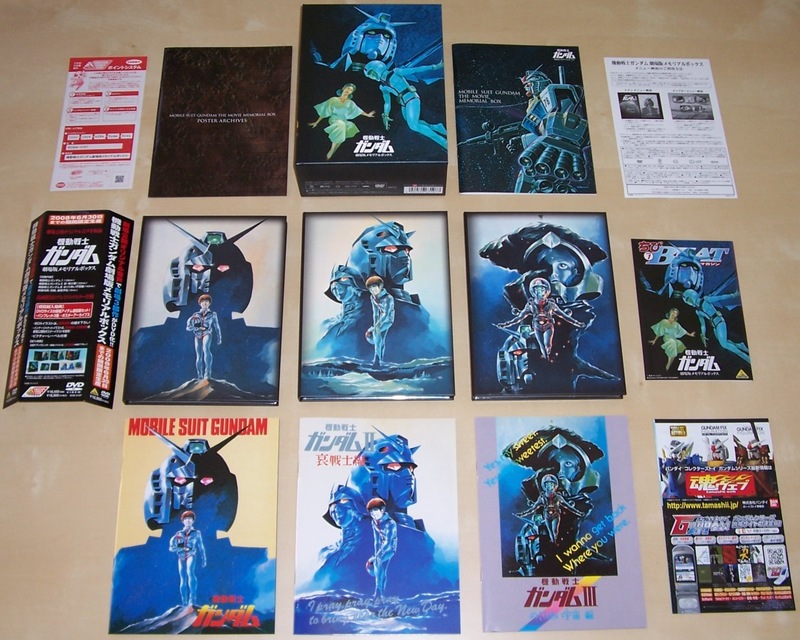 Next up we have the original Gundam movie trilogy set. This is cool since it comes with the original audio and English subtitles. They did a great job on this set as each disc comes with it’s own booklet in addition to the poster booklet and the general booklet. And it comes in a cool box. 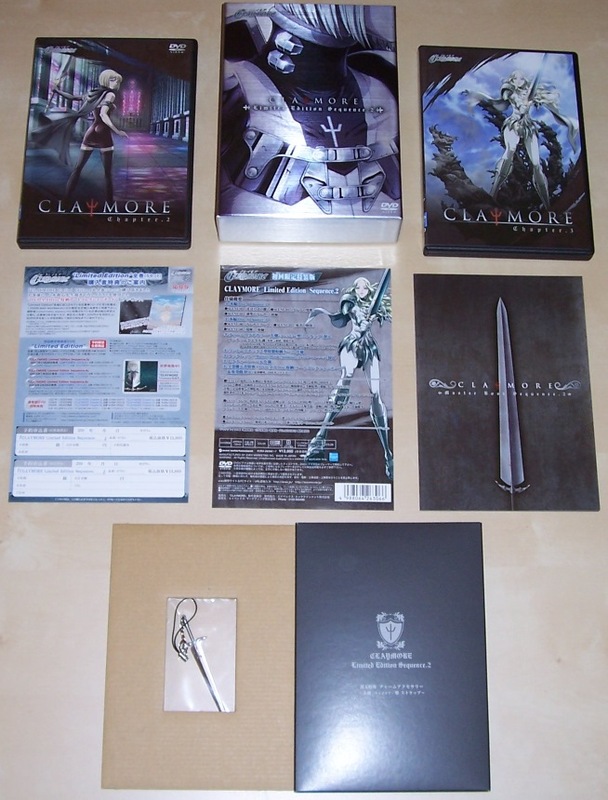 Moving on, we have Claymore LE Box 4, which comes with two DVDs plus bonus item. Unless Funimation does something truly great with their release for this series on the singles, I may just stick with the R2s for now. Then we get to You’re Under Arrest: Full Throttle (aka Season 3) Volume 1 with box for the first four volumes. I love YUA; it’s like the Simpsons of anime…. decades pass but no one ever ages. 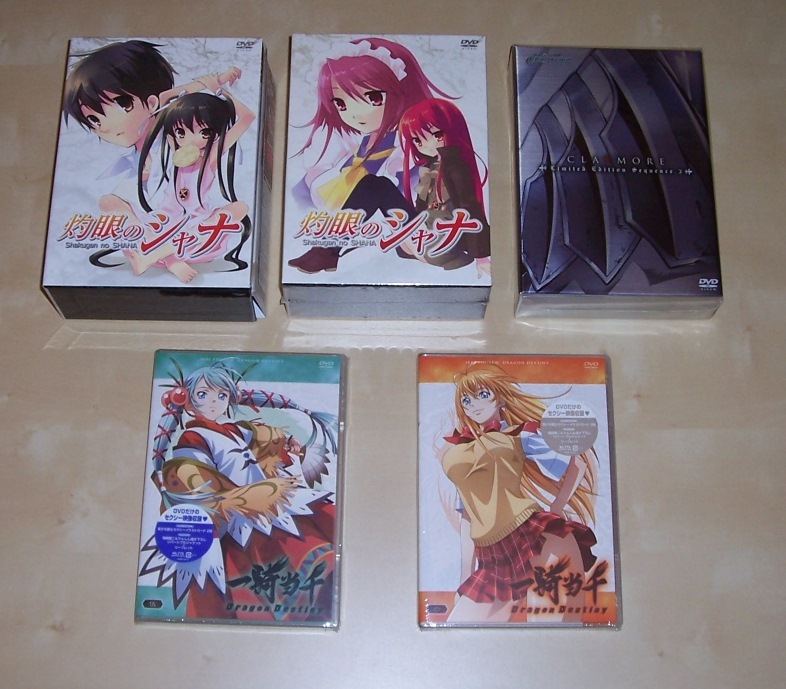 Finishing up the DVDs we have Shana II Volume 1 LE. This set came with some really neat items and the First Press came with both the mini poster in the box and a larger poster as well. 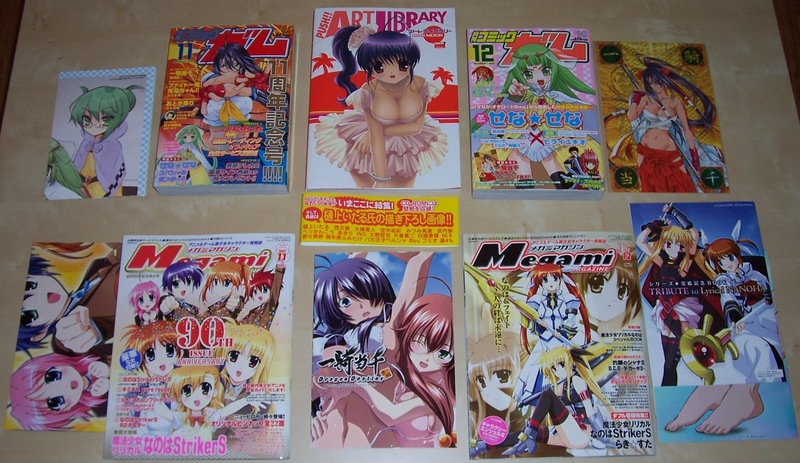 Not to forget print, here is a group shot showing both the February and March issues of Megami. I also picked up a Divergance Eve art book. It really is a good show if you can get beyond the ginormous breasts. Ending things up for this round, here is a quick shot of one of the last figures I had on order. This one is Max Factory’s Shiranui Mai from King of Fighters. You can read the HD review here. 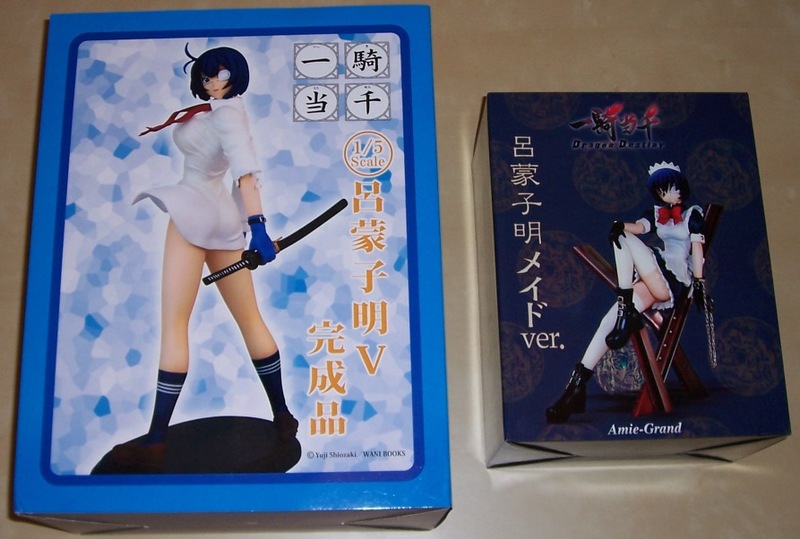 With this one in hand, I only have two figures left on order (both Ikki Tousen no less – what a shock!). I had a few shipments get delayed and what not, so I ended up just combining October and November’s items into one group. First up we have what will likely be the last big group of figures for a while. I am really running out of space as it is now, so anything new from this point forward will have to kick something else off the shelf. 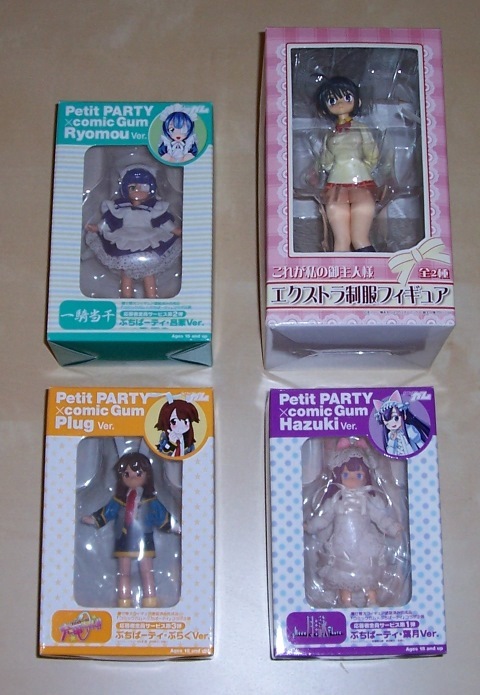 That said, the first group of figures are three of the Haruhi 1/4s from Freeing. You can see a couple angles here and here. 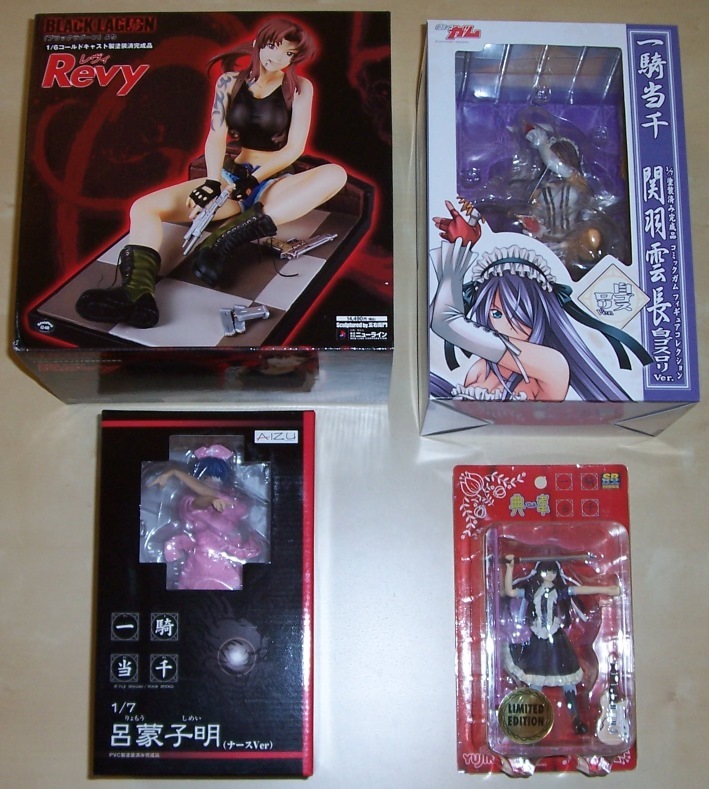 Next up we have some random figures including the Milk Tank PVC version and yet another Ikki Tousen figure. Look here and here for a couple different views of these. Moving forward we have a bunch of stuff in print. 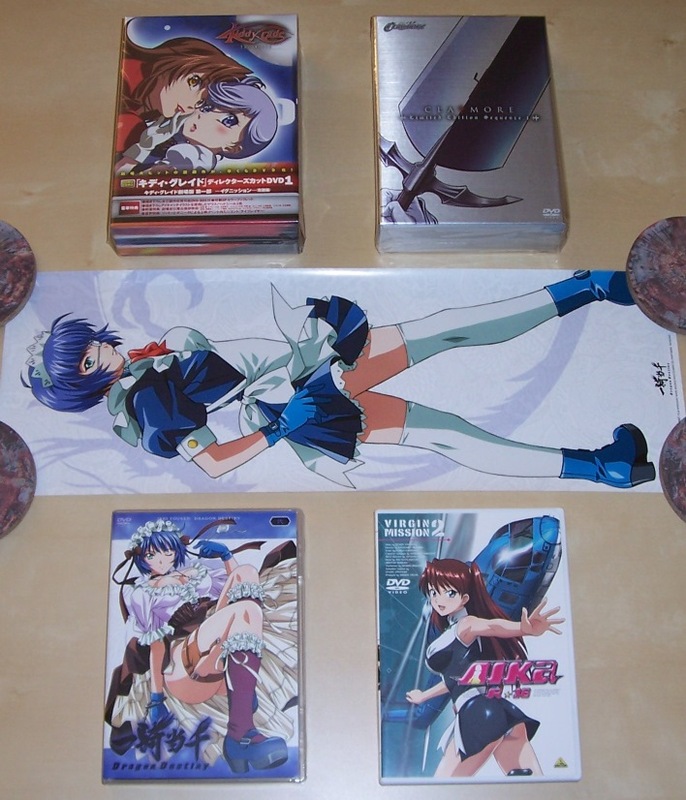 The usual Megami of course with some nice posters and a booklet. Also see here are the last two issues of Comic Gum (December issue comes with a cool pencil board; though it would have been better if it had been Mou-chan). I decided to drop this subscription since, while nice to look at, it didn’t really serve up all that much for me. I also picked up the ‘Push!! Art Library’ art book based on a review from a forum post on AnimeonDVD. 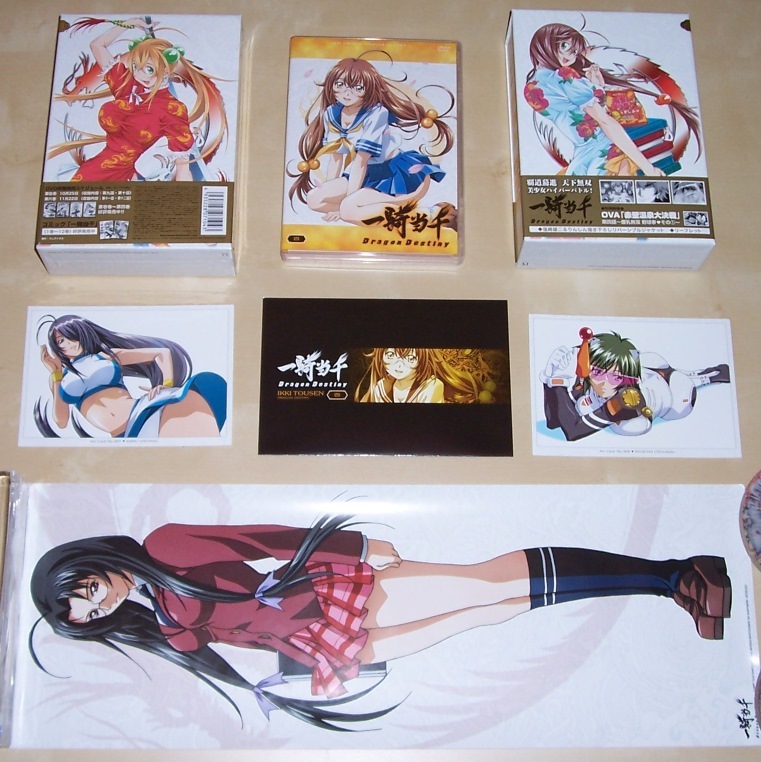 Lastly we have the Ikki Tousen Dragon Destiny Fan Book. If you’re a Kanu fan this one is for you. Not enough Ryomou though. You can read a much better review here. Not too much in the way of R2’s this month(s). Volumes five and six of IT:DD finish off that series. I did get the first press on both of those but I was too lazy to unroll the posters this time. The third Claymore LE came out as well with some cool inserts including another charm/cell phone strap/etc. 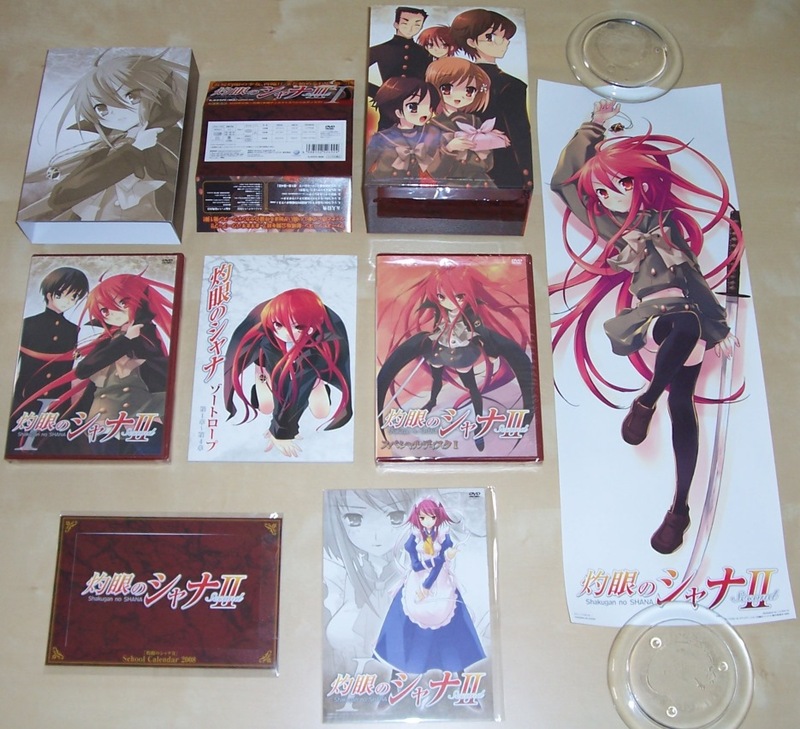 And to close things out I picked up the two Shana Season 1 boxes from auctions since I’m a box whore and we’ll never be getting one in R1 land. RIP Geneon. I’ve got the September items posted in all their glory. It’s kind of a mixed month. The usual suspects are seen in print this month with the current issue of Megami, which came with a cool pencil board again as well as a booklet insert. Also in print is the latest issue of Comic Gum with yet another book cover. Cool I guess. I’m thinking of giving up the subscription to this one since while it is cool to look through, I can’t read so it’s a bit more on the useless side. 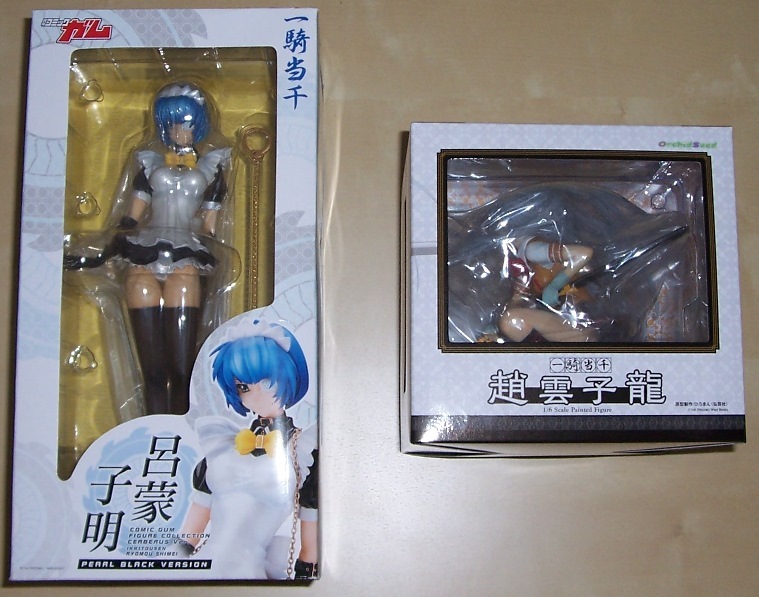 And in the “I didn’t think it would be that big” category I’ve got another couple of Mou-chan figures. I also picked up the set of Comic Gum mini figures including another Ryomou figure. 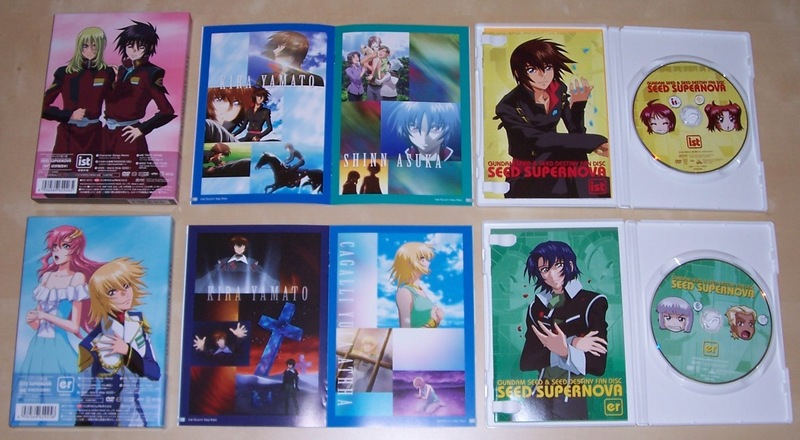 DVDs this month included the two Gundam SEED fan discs (although I had the first one already from a previous order I decided to put them together here). Here is another shot of those two open with booklets open and picture discs. Next we have volume four of Ikki Tousen Dragon Destiny with art box. I bought two of course. This volume came with a couple of cards and a mini-poster, as had previous volumes (First Press anyway). 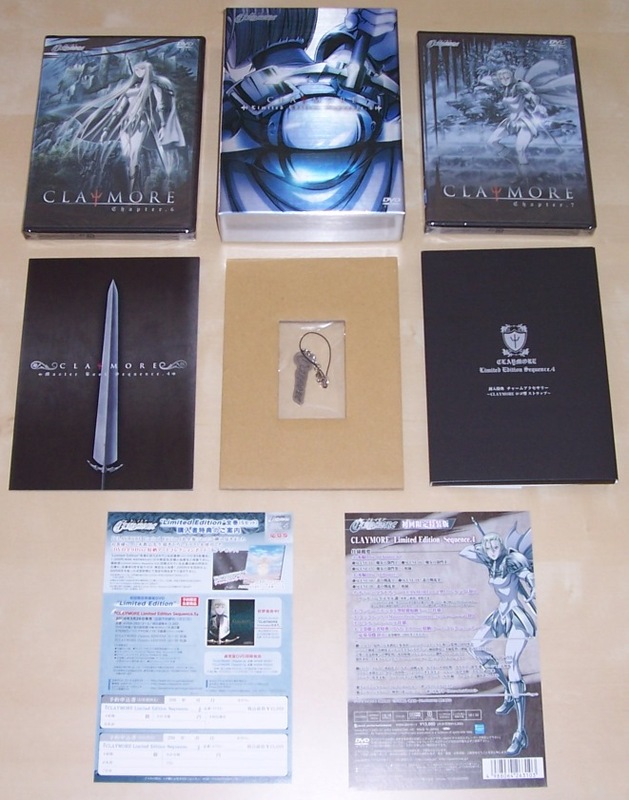 And lastly we have Claymore Limited Edition 2. This one came with two DVDs, booklet and really cool mini-claymore sword (cell phone strap?). That’s about it for this round. It’s kind of a light month this time around. I’ve updated the gallery with the August items. 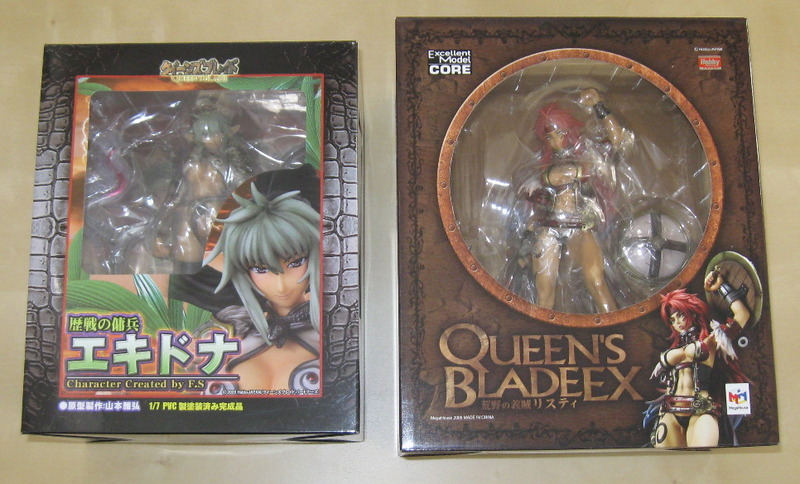 Ikki Tousen heavily dominated the figures this month, though I guess that’s not too much of a surprise. 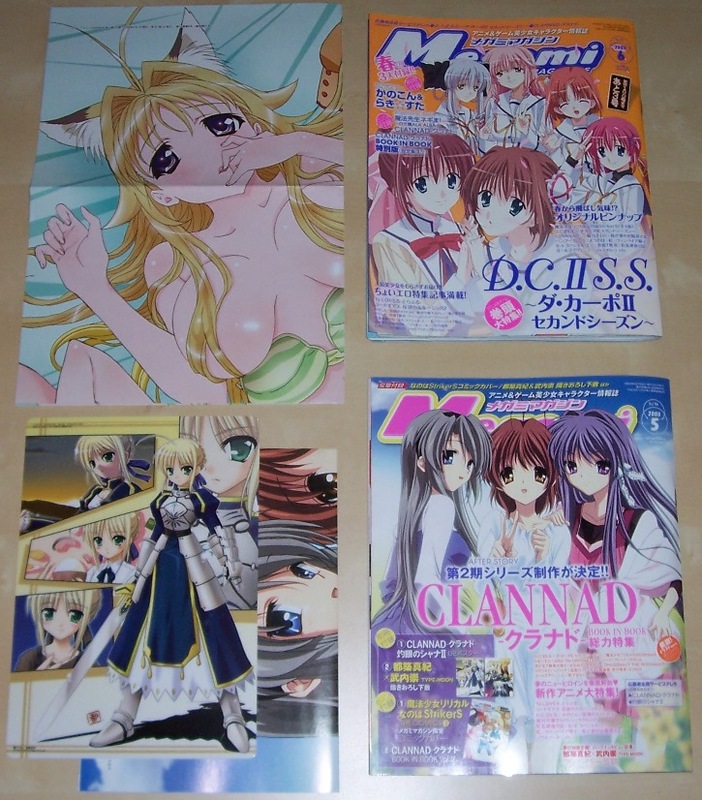 This months Megami had a cool pencil board with it while the Comic Gum for August had…. I’m not sure what? Here are some pics of the items I picked up last month. I think this will be the last month that I’ll have a bunch of figures. 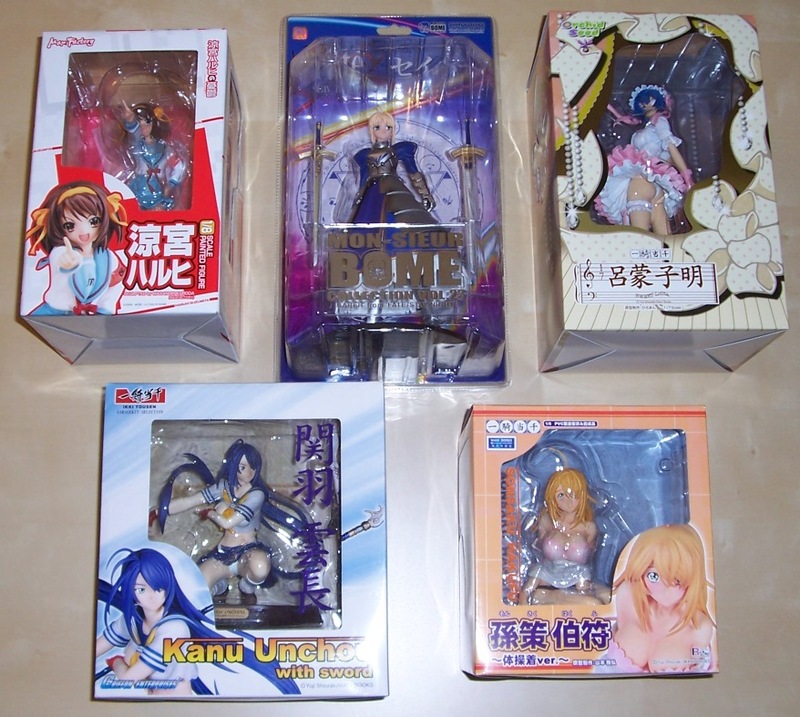 Some of these were from AX and SDCC of course, so it has kind of skewed things a bit. 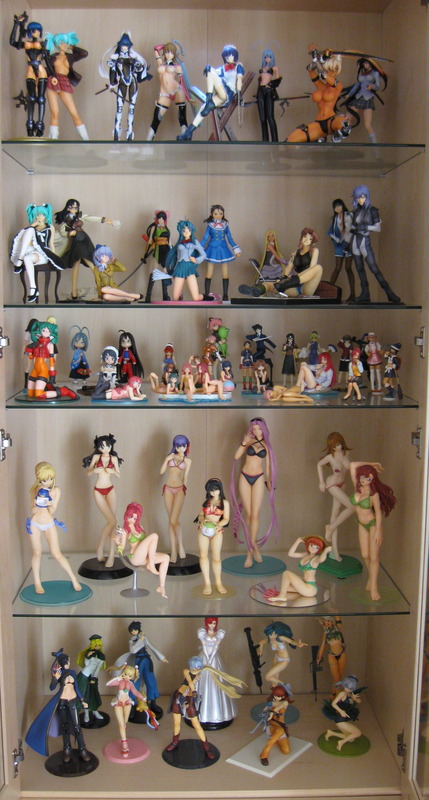 I really need to trim down the number of new figures I’ve been getting, mainly due to lack of space above anything else. 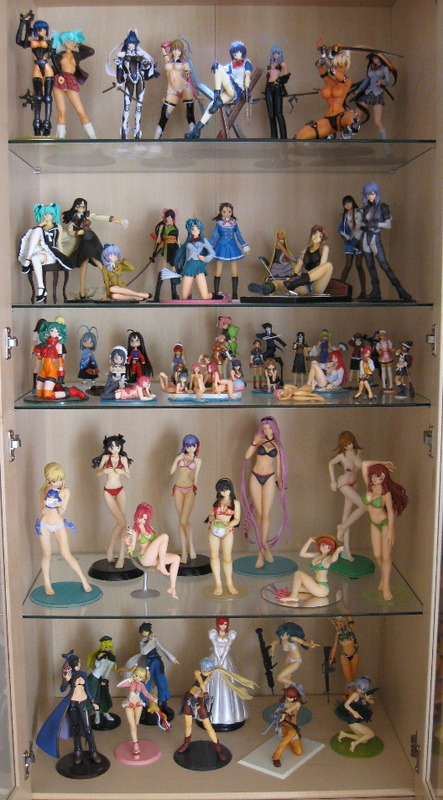 Some folks who buy tons and tons of figures each month and every month I have to wonder where they put them. I’ve kind of made it a policy that if I can’t display it, I can’t buy it. This was great while I was still filling out the new display cases, but now it’s getting crowded in there. As you can see, I’ve got more Ikki Tousen goodness here. Can’t have enough Mou-chan. Speaking of which, that seems to be the general theme this month when you factor in the new pillow cover (front side and back side), the IT: Shining Dragon PS2 game and the DVDs. 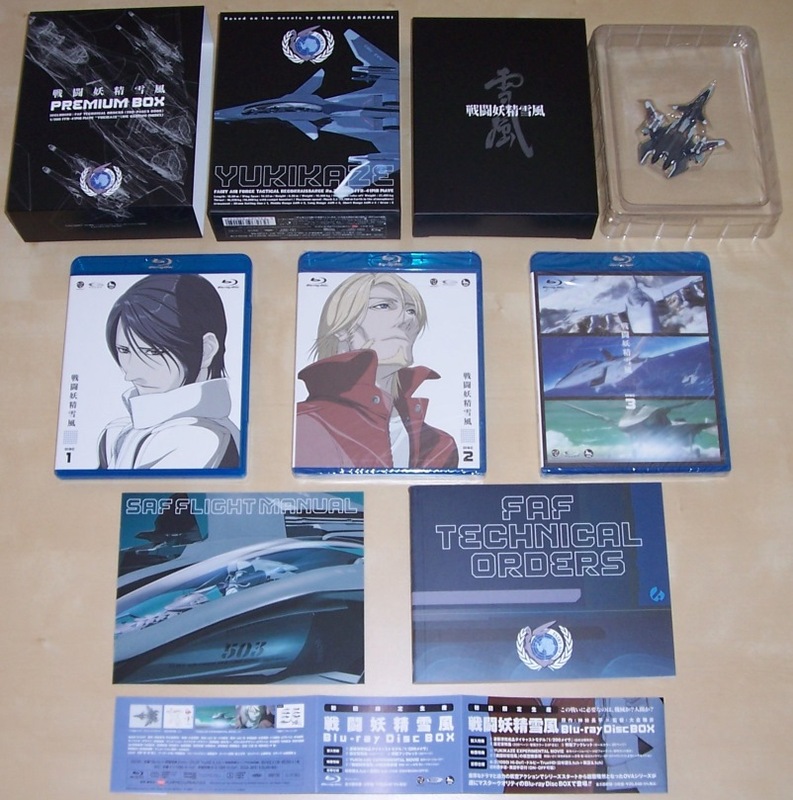 The DVDs include IT:DD volume 2 (with the First Press poster), the Kiddy Grade ‘movie’ no. 1 with box (because I love boxes) and Claymore vol. 1 LE (because “Claymore is cool”). Also in there is Aika R-16 OVA volume 2 which I had pre-ordered before I heard that Bandai Entertainment had picked up both the old series and this new one (announced at AX). In the print world I picked up the usual Megami and Comic Gum (came with another promo DVD) along with the Megazone 23 23rd anniversary edition art book. Had to order away for this one since it never showed up at the local Kinokuniya bookstore. The Megazone 23 book is only for part 1 as they are also promoting the new PS2 game which takes an alternative spin-off story, ignoring parts 2 & 3. I could do without part 3, but it would be cool if they did an art book like this for part 2. We’ll just have to wait and see.